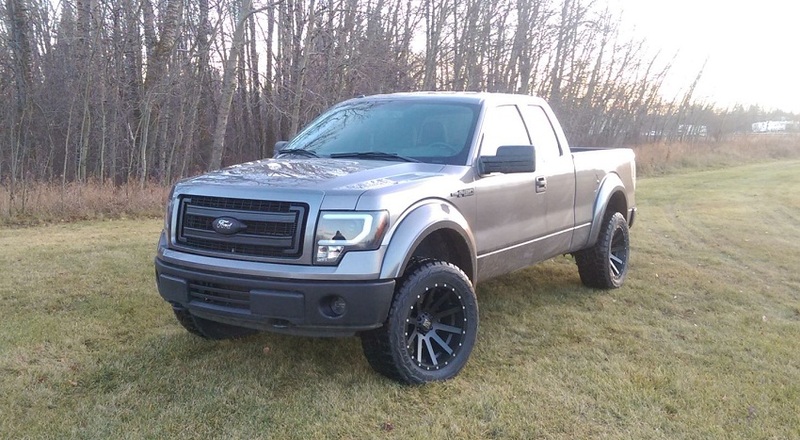 Best headlights for your new 2014 Ford F-150 - Ford F150 Forums - Ford F-Series Truck Community. 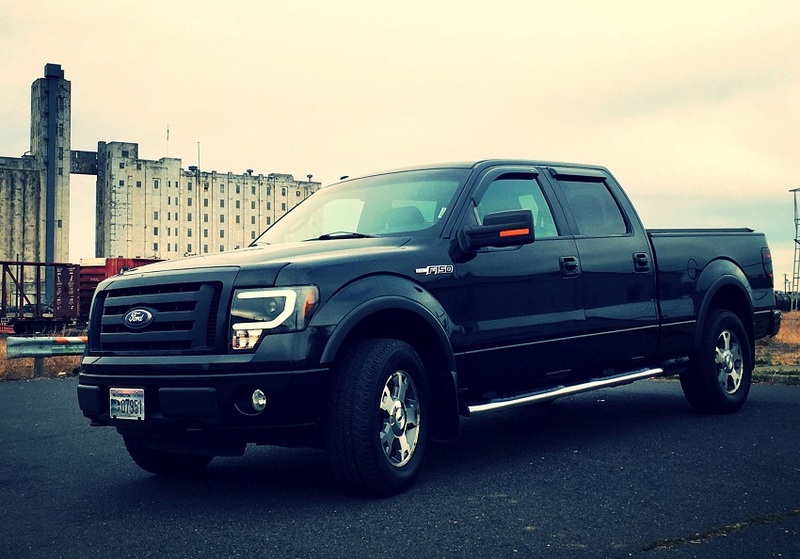 The release of the new Ford F-150 pickup probably doesn’t need to be highlighted. We are all get excited about its super-stylish design and upgraded front end. However, the release of new model doesn't mean that previous body style stays behind as aftermarket manufacturers keep updating us with remarkable accessories to complement it's tough and mighty look. Spyder lighting manufacturer has recently released this brand new headlight style with built-in LED bars for 2014 F150. Check black projector headlights with light bar DRL manufactured by Spyder here. Take a look at these chrome projector headlights with light bar DRL also created by Spyder here. 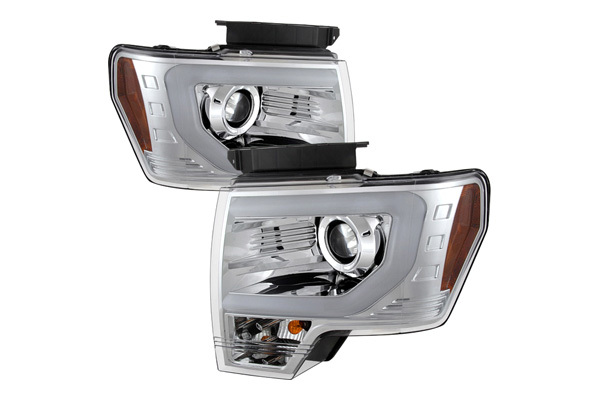 These headlights are available for models with factory halogen lights and models with factory HID lights. Read more about Spyder at CARiD.com. Let us know what do you think about these lights? 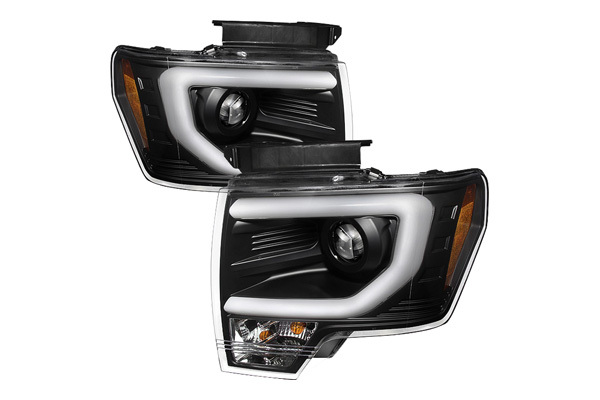 Just a quick update on the Light bar DRL headlights for 2013-2014 F150. Unfortunately the headlights for trucks equipped with halogen headlights are on backorder until early December. However we do have in stock options for F150 trucks with stock xenon (HID) headlights. If your truck is equipped with stock xenon headlights - we have a matching set of light bar DRL headlights for you! Hi guys just a quick update on the headlights. 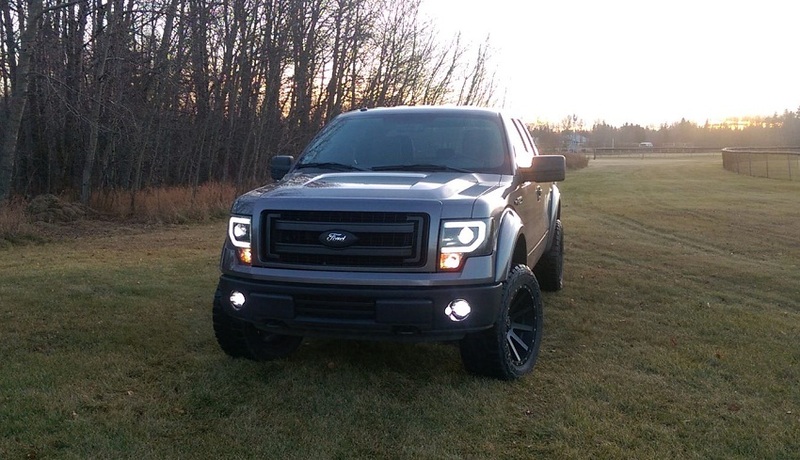 Our customers provided a couple of cool pictures of these U-Bar headlights installed on their F150 trucks. We still have a couple of sets in stocks, let me know if you need a quote and don't forget to include your zip! A quick update on topic! Halogen version of Spyder® - Black Projector Headlights with U-Bar DRL is back in stock and the price has been reduced! They are now on sale!!! - click on the link in the original post above to view more details. *it is possible to use an aftermarket HID conversion kit if you want to upgrade them to Xenon(HID). Headlights for models with factory HID are out of stock. Estimated time arrival 3/14/16. Please let me know if you need a quote, just provide me with your shipping zip and email address!